00:00:08.24	and we're going to talk today about bacteriophages, their genes and their genomes. 00:00:20.10	some of their biological properties, and how they were discovered. 00:00:24.17	So bacteriophages are viruses that infect bacterial hosts. 00:00:39.29	bacteria also have viruses that infect them, and they are called bacteriophages or phages for short. 00:00:46.18	They were discovered or co-discovered by Felix D'Herelle and Frederick Twort between 1915 and 1918. 00:01:09.01	and essentially having a bactericidal effect. 00:01:37.10	and then plated that out in the presence of the bacterial host on solid media using Petri dishes, as shown here. 00:01:58.05	with smaller and larger areas where the cells are dead and where the viruses have grown. 00:02:30.06	may be perhaps a million or ten million or more individual phage particles. 00:02:48.10	that there was nothing to see in there. 00:02:56.16	but the tube looked completely clear. 00:03:02.26	with this capability in the light microscope, there was nothing to be seen. 00:03:09.09	So these were mysterious entities, but Felix D'Herelle showed conclusively that they really are particulate in nature. 00:03:37.25	and I'll show you some pictures in a minute. 00:03:41.17	But this just shows a stylized example of what one of those phages look like. 00:03:48.06	At the very top here you can see is a structure that is referred to as the head. Sometimes it is called the capsid. 00:03:56.00	That is attached to this longer structure here which is the tail. 00:04:09.08	the instructions for its own replication, are carried here in the virus head. 00:04:32.06	that is the region that recognizes and binds to the outside of the bacterial host. 00:04:52.22	and the DNA, or the genetic information is what passes from the head through the tail, into the cell. 00:05:02.28	and then reprograms that cell in order to make more copies of the virus. 00:05:27.16	as I just described and shown in these examples here. 00:05:30.29	And they contain double stranded DNA. 00:05:38.26	but the vast majority that you find in nature fall into this particular order. 00:05:44.14	And these have names according to the types of tails that they have. 00:05:56.28	when the DNA is injected into the bacterial host. 00:06:01.16	These are called the Podoviridae which have little short stubby tails. 00:06:06.22	And these ones on the right here are the Siphoviridae, and these have long, non-contractile and flexible tails. 00:06:17.17	So these are the main forms of these viruses. 00:06:26.21	and have, indeed, different types of DNA or RNA genomes within them. 00:06:39.29	of a bacteriophage during this process known as lytic growth. 00:06:44.23	The phage starts by adsorbing to the outside of the cell. 00:06:52.10	The DNA is injected inside the cell in this process of penetration. 00:06:57.29	There is a set of early proteins which are encoded by the phage, but which uses the host machinery to express them. 00:07:07.19	Viral DNA is replicated to make lots more copies of the virus DNA. 00:07:13.10	And then these late proteins are expressed that make the structures that I just showed you in the electron microscope. 00:07:22.27	The capsid structure gets assembled. The tails get assembled. 00:07:28.08	And then in the process of DNA packaging the DNA is stuffed into those heads until the heads are full. 00:07:55.16	and will go on to repeat this cycle whenever they find another bacterial host. 00:08:11.03	that is not the only type or form of growth cycle that phages can enjoy. 00:08:20.08	that enjoy what is referred to as a temperate life state. 00:08:32.22	there are two possible alternative outcomes. 00:08:43.02	in exactly the same way as I described to you in the previous slide. 00:08:49.07	And normally that occurs perhaps 80 or 90% of the times that the host cell is infected by the bacteriophage. 00:08:57.10	Ten to twenty percent of the time there is an alternative outcome. 00:09:02.11	And that alternative outcome is referred to as lysogeny. 00:09:14.28	they are all switched off. 00:09:23.28	in the long term within the subsequent growth cycles of the bacterial host. 00:09:29.25	And that is usually, although not always, accomplished by integration of the phage DNA into the bacterial chromosome. 00:09:38.29	So the phage genome itself becomes incorporated and becomes a part of the bacterial chromosome. 00:09:45.26	It gets replicated just like all the other of the bacterial genes do. 00:09:54.02	where the phage is simply going along for the ride in what is otherwise a very healthy cell. 00:10:01.10	It is basically a free ride through many, many generations. 00:10:05.27	So lysogens tend to be stable, but they are not going to, they don't have to remain in that state forever. 00:10:31.11	such as UV light, lysogens can leave this... the comfort of that life cycle, and they can be induced into full lytic growth. 00:10:54.26	by the types of plaques that you see on agar plates. 00:11:05.03	where all of the cells within that infected area have been killed. 00:11:11.12	Killed by phage infection. 00:11:14.00	Over on the left on the bottom here, you can see what temperate phages look like. 00:11:18.20	They form turbid plaques. 00:11:20.15	You see plaques because there are cells that are being killed through the lytic growth, propagation of the virus. 00:11:44.03	within this density of bacteriophage particles. 00:11:54.01	there's lots of viruses around to infect them is referred to as super infection immunity. 00:12:01.02	Lysogens are immune to super infection by a phage of the same or closely related type. 00:12:09.00	This slide just shows an example of how that can be studied and what that looks like in the lab. 00:12:45.04	that will have come from the turbid plaque. 00:12:48.05	And then these individual colonies can in turn be tested for their immune phenotypes as shown in the top right. 00:13:05.00	and in the top we have just spotted on dilutions of a bacteriophage sample. 00:13:20.24	gives you the titer, i.e. the number of particles per milliliter of sample on the non-lysogen. 00:13:32.05	But when you compare it with exactly the same dilutions of that particular phage onto a lysogen of itself. 00:13:38.00	So this particular phage is called Giles. 00:13:49.14	of phage at the top left-hand corner of that panel. 00:14:04.03	and therefore you see essentially the same number of plaques on the lysogen of Giles and the non-lysogen. 00:14:12.03	And therefore bacteriophages can be grouped together according to their immune specificities. 00:14:19.11	And it can be done just by comparing the infectivity of a whole set of phages on lysogens and non-lysogens. 00:14:34.22	that may be similar by sharing these types of parameters. 00:14:38.27	I mentioned that phage DNA can integrate itself into the host chromosome. 00:14:46.10	And this is a common feature of temperate bacteriophages. 00:14:50.07	They do it by a process which is referred to as site specific recombination. 00:14:55.14	This process is catalyzed by an enzyme which is called integrase or Int for short. 00:15:07.20	and integrase catalyzes recombination between two specific sites or segments of DNA. 00:15:23.28	which is called the attachment site for the bacterium or attB. 00:15:46.02	referred to as attL and attR respectively. 00:15:56.26	Integrase works together with a host protein, a bacterial protein called integration host factor or IHF for short. 00:16:15.10	which means that there has to be a process for this to come back out again. 00:16:21.13	A biological reversal of this overall reaction. 00:16:30.04	and there is a second phage encoded protein called excise or Xis for short. 00:16:38.15	And Xis is a protein that essentially dictates and determines the directionality of how these reactions will occur. 00:16:48.28	In the absence of Xis you do integration. 00:16:53.09	In the presence of Xis, then the integrase is only capable of doing the excision reaction. 00:16:59.11	A few years ago people started thinking about how many bacteriophages there really were out there in the biosphere. 00:17:15.09	where they could take a sample, let's say of seawater, which is easy to get. 00:17:29.21	and simply look and count for the viruses and other components that you see in that kind of experiment. 00:17:37.11	This is an example of what they saw. 00:17:40.16	There is a very large number of what you can see as small green fluorescent dots here. 00:17:48.16	Those are all the viruses that are present. 00:17:56.04	which are larger objects, and they are the bacteria. 00:18:00.25	And so what it was possible to do was simply to count how many virus like particles are present in these samples. 00:18:09.13	And when that was done, it was clear that the viral population is indeed absolutely vast. 00:18:19.12	viral particles per mL, and this number seems to be reasonably steady no matter where you have looked. 00:18:33.11	or the surface or the deep. 00:18:35.27	And there's a similar abundance, or related degree of abundance in terrestrial samples as well, it is believed. 00:19:01.05	contains a total of 10 to the power of 31 virus particles, the vast majority of which are bacteriophages. 00:19:18.11	in the biosphere than all other biological entities added together. 00:19:23.00	Phages are in fact the majority of all biological things in the biosphere. 00:19:30.17	They are not only abundant, but this appears to be a very dynamic population as well. 00:19:52.05	to bacteria is about between 5 to 1 and 10 to 1. 00:20:06.00	to infection by the bacteriophages in their natural environments. 00:20:19.28	that occur on a global scale. 00:20:27.24	which is just an incredible number of activity. 00:20:33.24	A dynamic population. Indeed these numbers would suggest that the entire phage population turns over every 4 or 5 days. 00:20:42.20	It is a large and a stunningly dynamic set of biological items. 00:20:50.01	Not surprisingly perhaps the viral population is extremely diverse when we look at the genetic level. 00:21:15.09	and we can see how similar or different they are to each other. 00:21:19.05	And what we have learned from this is that indeed there's many, many different types of sequences. 00:21:30.15	which are unlike any other genes that we have seen before. 00:21:34.11	So, we can conclude then that bacteriophages represent the majority of all biological entities in the biosphere. 00:21:42.15	They're a dynamic population. They are constantly infecting bacterial hosts and generating more copies of themselves. 00:21:51.12	The bacteria must be struggling to maintain their survival through resistance to these infections. 00:21:59.10	And I think a compelling argument can be made that this population has probably also been evolving for a very long time. 00:22:08.04	Perhaps 2-3, perhaps even 4, billion years, extending right back to the very early days of when life evolved. 00:22:17.10	And finally, phages appear to represent the largest unexplored reservoir of new genetic information in the biosphere. 00:22:35.20	the bacteriophage population I think we would argue is exactly where you should start to look. 00:22:51.26	and see how that's given us some insights into how these genomes have evolved. 00:00:04.15	and a Howard Hughes Medical Institute professor. 00:00:14.02	the genomes of bacteriophages and perhaps learn something about how they are constructed and how they have evolved. 00:00:37.23	that could arguably reflect different ways in which those bacteriophages have evolved. 00:00:53.09	and their evolutionary relationships and how the genomes compare to each other. 00:01:01.00	where I have shown five examples of bacteriophages. 00:01:15.03	each with their heads and their tails attached. 00:01:25.06	almost indistinguishable, perhaps they all are genetically similar. 00:01:30.11	In fact this is an example where these five share essentially little or no sequence similarity at the genomic level whatsoever. 00:01:48.23	we need to go in, isolate the DNA, and sequence those genomes and then compare them. 00:01:54.24	There are various ways in which we can compare the genomic sequences. 00:02:13.05	and then comparing them one to another and seeing what is shared. 00:02:21.09	and comparing them through their predicted amino acid sequence similarities of the proteins that are encoded by those genes. 00:02:34.09	and compare their nucleotide sequences. 00:02:37.20	And this particular representation is referred to as a dot plot. 00:02:58.03	and ask if there are segments that are similar to each other within a particular window of comparison. 00:03:06.07	And every time we see sequence similarity, a dot is presented on this dot plot. 00:03:25.08	from the top left to the bottom right of this representation. 00:03:35.24	which is substantially similar between the two. 00:03:47.14	appear to be substantially dissimilar. 00:03:50.10	They don't have shared nucleotide sequences. 00:03:52.15	And then there's all sorts of complicated interruptions and shifts in the diagonal line as you look between these. 00:04:02.13	And this tells us an important aspect, a component, of what we see when we compare these types of genomes. 00:04:11.09	And that is, they are not simply completely similar from end to end or completely dissimilar from end to end. 00:04:33.13	different ways of arriving in the genomes as we see them in Fruitloop and Boomer today. 00:04:47.08	we can see the following general conclusions. 00:05:01.12	that the genomes are linear. So they have a left end and a right end. 00:05:08.23	They tend to form predominantly two types of groups that we can see when we look at the linear genomes. 00:05:17.06	There are those that have defined ends. 00:05:30.08	have the same left and right ends. In other cases that is not true. 00:05:41.14	but the specific physical ends of the left and the right can be positioned in different places. 00:05:47.27	And therefore they are referred to as being circularly permuted. 00:05:54.21	but they represent different positions of the ends relative to the genetic information. 00:06:06.22	which means that one segment of the genome is duplicated at both ends. 00:06:20.24	and there are other viruses that have different variations on these themes. 00:06:25.22	The sizes of bacteriophage genomes varies enormously. 00:06:44.22	is about the same size of the smaller of the free living bacterial genomes. 00:06:55.00	and have the same or more genes as small bacterial genomes. 00:07:00.15	The phage genomes tend to be densely packed with genes. 00:07:05.19	And so most of the DNA is encoding genes. 00:07:17.05	tend to be unrelated at the DNA level. 00:07:44.07	the protein coding genes that are present within the virus. 00:07:54.22	and they are shown here by these boxes, either colored or in white. 00:08:05.24	which has markers every kilobase and every 100 bases. 00:08:22.14	and each of the genes are shown in these boxes represented either above or below the DNA. 00:08:44.23	are transcribed in the leftwards direction. 00:08:56.17	relative to the overall genome structure. 00:08:59.19	You can see here from these genes that they are densely packed into this particular genome. 00:09:06.10	There's few non-coding spaces between the genes. 00:09:10.19	They essentially represent 95% or more of the genetic information that's available. 00:09:26.12	as to reflect the relationships that some of these genes share with genes that you find in other bacteriophages. 00:09:40.02	are simply genes for which we don't have any other close relatives in any of the databases. 00:09:55.24	and for which we have rather little idea as to what they do. 00:10:12.01	have evolved differently to each other. 00:10:15.00	And this leads to the idea that phage genomes are characteristically mosaic. 00:10:21.09	They are constructed architecturally from segments which have been put together in a particular way. 00:10:38.28	such that you can find it in more than one or perhaps several different genomic contexts. 00:10:52.15	at the level of nucleotide sequence comparisons. 00:10:56.00	So this is showing a small segment of three phage genomes. 00:11:01.19	The one at the top, PG1. Rosebush in the middle, and Qyrzula towards the bottom. 00:11:08.17	You can see the genome represented by the markers in the railroad tracks for each of these. 00:11:25.04	there is a color coded area shading between the two such as you can see here. 00:11:39.22	both in the left part here and over here in the right part as well. 00:11:53.22	in this example, because there is no color shading over on this left part. 00:11:58.29	Nonetheless, in this middle segment things are different. 00:12:29.17	between these two genomes, PG1 and Rosebush, in this center portion. 00:12:42.09	particularly Rosebush appear to have had different evolutionary histories. 00:12:47.09	They've come from different places. 00:12:55.02	It appears to have come from a common ancestor which had more in common in this region with PG1. 00:13:02.15	So this is a good example of mosaicism, a key architectural feature of bacteriophage genomes. 00:13:18.27	at the boundaries that must reflect where recombination occurred to give you this exchange of information. 00:13:26.08	And in this particular slide I am showing the detailed information of two genomes. 00:13:36.27	and in blue the amino acid sequences of the predicted genes in that region. 00:13:41.18	In the bottom you can see a second genome that we are comparing. 00:13:50.28	simply reflecting a segment where these genomes are closely related. 00:14:03.09	but over here, they are completely different. They are completely dissimilar. 00:14:21.13	this module boundary, corresponds precisely to the boundaries of the genes. 00:14:27.16	It is this boundary which is where this gene starts up here, and its comparable gene begins down here. 00:14:38.04	These genes to the left are very different, and to the right they are identical. 00:14:48.15	coincides with the gene boundaries themselves. 00:14:52.25	And this is a common and important observation and it helps us to think about how mosaicism can be generated. 00:15:01.14	And there are two fundamental models. 00:15:03.05	The first is that recombination happens at targeted, short, conserved boundary sequences. 00:15:19.23	which corresponds to those boundary regions. 00:15:32.15	at places where genes themselves in their entirety get exchanged. 00:15:36.22	There are some examples of that that have been reported in the literature. 00:15:41.29	So this is certainly an event that can happen. 00:15:59.19	at what are essentially randomly chosen sequences. 00:16:12.03	this does not result by this model from targeted exchange at that point. 00:16:26.12	selection for gene function for those genes that can actually work. 00:16:32.03	And so this just illustrates the different types of examples of recombination. 00:16:53.28	in order to give you these exchange events in these recombinants. 00:17:02.06	where recombination has essentially happened anywhere. 00:17:05.20	It has happened between sequences that are not related to each other. 00:17:09.02	And you get whatever gobbledygook may arise from just a random exchange in the process. 00:17:25.04	such as whole genes that are shared. 00:17:34.28	such as A now joined together with C.
00:17:43.07	the types of genes that can be present in the modules. 00:17:55.18	new module boundaries unless it is in this targeted approach. 00:18:28.26	that we have to think about as a model for illegitimate recombination in this process. 00:18:41.11	is likely to happen at rather low frequencies. 00:18:55.00	for the most part it is just going to generate genomic garbage. 00:19:04.24	and will have lost some genes and is liable to be non-functional. 00:19:11.03	So in its essence we can think of it as a rather disruptive or destructive type of process. 00:19:37.04	of functional sequences that can function as a virus. 00:19:49.07	then there is no necessity to think of these events as being predominantly involving two phage genomes. 00:20:08.05	for the phage genome to recombine with the bacterial chromosome. 00:20:13.21	The process we can think of as being one that is infrequent and yet extremely creative. 00:20:26.08	and put them together in a way in which has perhaps never been seen before in nature. 00:20:40.06	and generating new types of functions which perhaps have not been seen in nature before. 00:21:11.14	in order to select from that those components that work. 00:21:21.25	requiring infrequent recombination events and multiple numbers of them, it is nonetheless it is creative. 00:21:40.19	in a very dynamic population very successfully. 00:21:44.26	So this will give us these recombinant joints. 00:21:49.09	These recombinant joints once they are formed are likely to be stably maintained. 00:22:02.29	that probably happened many of hundreds of millions or even billions of years ago. 00:22:26.23	that don't have to be completely identical to themselves. 00:22:40.27	and indeed the generation of the mosaic genomes as we see them. 00:23:04.29	we really have to think about, and very carefully, about what types of genomes we want to compare with each other. 00:23:12.04	And we will see an example of that in part three. 00:23:24.14	we can conclude that phage genomes are architecturally mosaic. 00:23:28.15	That mosaicism is fueled by this process of illegitimate recombination. 00:23:39.13	once new joints between new genes are generated to form that mosaicism. 00:24:04.06	and the insights that they can give us in bacteriophage evolution. 00:00:01.00	Hello. My name is Graham Hatfull. 00:00:05.23	and a Howard Hughes Medical Institute professor. 00:00:17.00	of a particular type of bacteriophages. These are the mycobacteriophages, phages that infect mycobacterial hosts. 00:00:26.09	And so I should explain why we would want to choose phages of a particular host. 00:00:37.00	And indeed, why we would want to focus on this particular group. 00:00:46.10	that infect very different bacteria tend to be very unrelated to each other. 00:00:56.02	of phage evolution by comparing them. 00:00:59.13	They are so different there is little to be learned. 00:01:12.17	in genetic, at least potentially, in genetic communication with each other. 00:01:22.13	in order to isolate and characterize these viruses? 00:01:27.06	And there's many of course bacteria to choose from. 00:01:36.20	we might want to think about focusing on some bacterial pathogens. 00:01:40.17	Or alternatively bacteria that are important for other criteria. 00:01:46.15	Environmentally important, or other key aspects of their biology. 00:01:53.17	So we focused on the mycobacteriophages. 00:02:06.00	that they really warrant taking advantage of the viral systems that we could develop. 00:02:13.10	Not just for understanding the viruses, but for understanding the hosts that they infect. 00:02:18.17	And so I'll mention two bacterial species within this genus. 00:02:26.22	One is Mycobacterium tuberculosis, which is the causative agent of human TB. 00:02:41.10	and this is important because it is a very helpful surrogate for us to use in the lab. 00:02:51.18	but we have to be very cautious and careful with it for two reasons. 00:03:01.22	and we certainly don't want any of us working in the lab to be infected with that organism. 00:03:08.19	But is has another feature that somewhat complicates its growth and manipulation in the lab. 00:03:13.22	And that is that it grows extremely slowly. It has a doubling time of about 24 hours. 00:03:18.19	So it takes a day to go from one cell to two cells with Mycobacterium tuberculosis. 00:03:41.24	and if you are not careful, you will end up growing that rather than M. tb. 00:03:46.09	Mycobacterium smegmatis, in contrast, is a non-pathogen. 00:04:05.29	on Petri dishes in about 24 hours, and we can grown individual colonies in three to four days. 00:04:14.02	Mycobacterium tuberculosis is actually a very serious and important human pathogen. 00:04:21.13	About two million people a year die from Mycobacterium tuberculosis infections, from TB. 00:04:35.27	in the world than any other single, infectious agent. 00:04:45.09	because the bacterium establishes a latent infection and doesn't cause health problems. 00:04:58.15	or with a compromise of your immune system, such as for example with HIV infection. 00:05:17.27	that are either difficult to treat or effectively untreatable. 00:05:23.18	There's clearly a need for new strategies for diagnosis, prevention, and cure of tuberculosis. 00:05:36.20	that infect these organisms in the hope that they could contribute towards that specific cause. 00:05:43.25	And so this is an important point. The mycobacteriophages can really lead us in two directions. 00:06:01.01	and in fact can provide elements that we need to manipulate TB to understand it and to work with it. 00:06:09.05	I am not going to focus here too much on the specific applications of the mycobacteriophages. 00:06:30.21	and indeed whether it is a drug resistant or a drug sensitive strain. 00:06:35.19	This is a strategy which was first described by my colleagues Bill Jacobs and Barry Bloom. 00:06:50.27	and tell us about the metabolism of the mycobacterial cell. 00:07:01.11	such as firefly luciferase that will make the bacteria emit light. 00:07:13.06	that when that is introduced by infection of the host, it makes the cell fluoresce. 00:07:23.10	in order to then monitor what type of bacteria a particular patient is infected with. 00:07:33.05	and is currently undergoing further research and development. 00:07:55.23	we need to have the mycobacteriophages in order to characterize. 00:08:03.21	to isolate new mycobacteriophages and to genomically characterize them. 00:08:28.28	by going out and isolating new mycobacteriophages and sequencing them. 00:08:42.16	and because of this we now have many new mycobacteriophages to characterize and to compare. 00:08:51.02	The process is relatively simple. 00:09:04.18	The sample is mixed up with some liquid. The particulate matter is removed. 00:09:18.12	which is Mycobacterium smegmatis. 00:09:32.09	has now infected these cells to form a plaque. 00:09:43.15	and we can propagate it in the laboratory until we have a high titer or a concentrated stock. 00:09:49.12	From that we can make DNA. 00:10:04.20	to predict where all the genes are in these genomes, and then we can compare them. 00:10:16.24	fast growing, non-pathogen, and our samples predominantly come from soil and compost. 00:11:03.06	plaques they're present at higher concentrations. 00:11:08.03	but this is a relatively reproducible and simple process for discovering new phages. 00:11:19.06	using Mycobacterium smegmatis as a host. 00:11:27.14	but don't infect Mycobacterium tuberculosis, whereas others do. 00:11:43.28	are going to be all over the place and at this stage are not well defined. 00:11:56.07	appeared earlier this year in 2010, and described a comparative analysis of 60 of these. 00:12:12.17	the number of new phages and sequenced genomes, it is positively exploding. 00:12:23.28	154 completed genome sequences and much analysis awaiting to be done. 00:12:38.20	are double stranded DNA tailed phages. 00:12:42.14	We haven't isolated any RNA phages or any single stranded DNA phages. 00:12:48.02	They are all double stranded DNA, tailed phages. 00:12:59.06	are the Caudovirales, the double stranded DNA, tailed viruses. 00:13:02.21	Just like these that I showed you. I also told you that there's three common types. 00:13:14.24	and the Podoviridae that have short stubby tails. 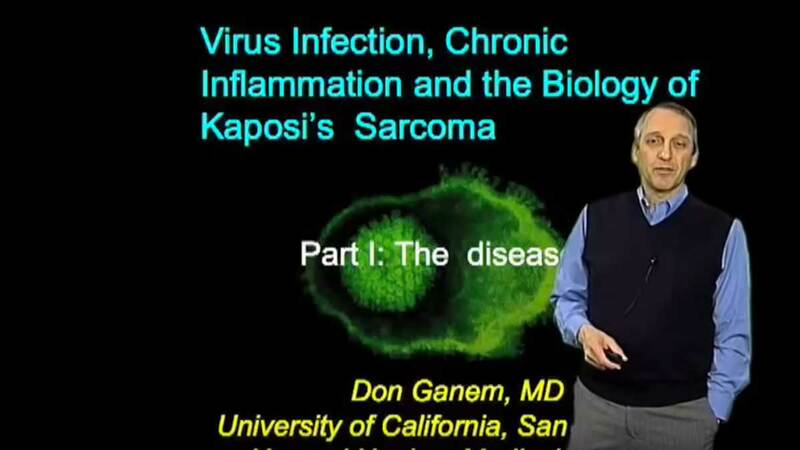 00:13:27.09	53 of them are of this Siphovirus type, 7 of them are of the Myovirus type. 00:13:33.08	We have no Podoviruses at all. 00:13:47.15	that there really are no Podoviruses amongst the mycobacteriophages. 00:14:12.12	of evolutionary opportunities to generate those types of phages. 00:14:24.18	but we have lots of examples of these other two morphotypes. 00:14:34.21	that we can see that are helpful in thinking about what these genomes are like. 00:14:38.11	First of all, the average length of all them is 72,588 base pairs. 00:14:47.01	We don't really understand why mycobacteriophages would have that particular length. 00:14:58.02	including those that are only half as long as the average mycobacteriophage genome. 00:15:08.02	either for the mycobacteriophages or indeed for any other phages. 00:15:20.23	up to about 164 and a half thousand base pairs. 00:15:25.06	So there is a lot of diversity in terms of size range. 00:15:29.25	The GC content on average for all of these 60 genomes is about 63 and a half percent. 00:15:37.00	A number which closely mirrors the GC content of the bacterial host Mycobacterium smegmatis. 00:15:52.27	that the GC content of the phages often mirrors that of the hosts. 00:16:07.09	spanning from 56.3% at the lower end up to 69% at the upper end. 00:16:14.28	And we've been trying to think for some time as to what this span of GC content reflects. 00:16:49.13	in their recent ecological and evolutionary times. 00:17:00.20	that we have yet to figure out what that is. 00:17:03.24	But that might account for the range of GC content that we would see. 00:17:21.24	to see if we can discern a pattern or a correlation between GC content and the host preferences. 00:17:40.19	about a hundred and fourteen ORFs on average per genome. 00:17:45.27	And interestingly the average ORF size, the average size of an open reading frame, is only 616 base pairs. 00:17:55.14	That's about two thirds of the average size of a bacterial gene. 00:18:08.08	but for other bacteriophages that people have looked at. 00:18:13.13	should be quite so different from that of the bacterial host. 00:18:23.10	is playing a key role in how these genomes evolve. 00:18:34.26	relatively recently from other genomes tend to be on the small side. 00:18:46.29	may actually contribute to driving the average gene size down. 00:18:58.25	"how are they related to each other at the nucleotide sequence level?" 00:19:10.17	which is where we can compare the nucleotide sequences in a dot plot analysis. 00:19:16.20	And one way of doing this is illustrated here. 00:19:30.26	and we've done that in random order. 00:19:36.14	to get a long span and then simply compared them with each other. 00:19:45.22	because that simply tells us that every phage genome is identical to itself. 00:19:51.22	That is a good thing. 00:20:01.24	is similar to a second phage that is sitting in a different part of the array. 00:20:13.10	these various types of relationships are scattered over this dot plot. 00:20:27.16	but there must be many that are completely dissimilar to each other at the nucleotide sequence level. 00:20:50.10	and then repeat this computational comparison. 00:20:54.09	So when we do that, this is what the plot looks like. 00:20:57.14	And so all we've done is simply to group the genomes together that are similar to each other. 00:21:10.10	next to them in the top left hand part of the plot. 00:21:18.02	to put the genomes together into what we refer to as clusters. 00:21:24.04	Such as Cluster A, Cluster B, C, D, E, etc. 00:21:36.05	this corresponds to what we refer to as singleton genomes. 00:21:49.10	either here or anywhere through the biological world. 00:22:01.25	and we can readily identify some clusters as being, having more than one closely related type. 00:22:11.14	And we therefore subdivide the cluster into sub-clusters. 00:22:31.10	which is related to the other C cluster genomes, but less so, so that constitutes sub-cluster C2. 00:22:47.02	just within this group of 60 that we are looking at. 00:22:57.05	as we zoom in on the different clusters and sub clusters. 00:23:00.18	Here we are looking at clusters A through to E.
00:23:10.25	with Bxz1, Cali, Catera, Rizal, ScottMcG, and Spud. 00:23:16.26	And then Myrna is the sole member of cluster C2. 00:23:20.22	And these are the remaining clusters, F, G, H, and I. 00:23:31.14	Corndog, Giles, TM4, Wildcat, and Omega. 00:23:50.18	or if they are singletons, they're one of a type. 00:23:55.26	and we can see what features they have and what they look like. 00:24:12.22	and the leftwards transcribed genes below the DNA. 00:24:15.20	It is densely packed and we've color coordinated these genes according to their relatives. 00:24:31.01	and in fact the genes and the predicted proteins can be compared as well. 00:24:39.20	and we see that the genes are tightly packed with few non-coding regions. 00:24:42.29	There's many, many genes, but there appears to be few operons. 00:24:56.09	for transcription initiation or promoters that are used to express these genes. 00:25:07.05	but the bioinformatic predictions are that there will be blocks of genes that are transcribed together. 00:25:32.09	which is conserved even though the genomic sequences may be extremely different to each other. 00:25:51.03	which have a completely unknown function. 00:25:54.25	And we have failed to predict what they can do simply from comparing them with other genomes. 00:26:01.22	And so what we've done is to create a computer program. 00:26:19.05	by comparing them at the amino acid sequence level. 00:26:30.05	I also showed you that we have lots of examples because we have many different types of genomes. 00:26:46.10	because of the use of the common host. 00:26:53.00	doesn't mean that they are completely unrelated. 00:27:10.15	even though they no longer share nucleotide sequence similarity. 00:27:19.07	called Phamerator facilitates this in a very important process. 00:27:30.06	we have these 6,854 genes. 00:27:39.23	using alignment programs such as BLASTp and Clustal. 00:27:49.21	they meet a particular threshold of similarity we group together. 00:27:55.13	And we put them in groups, and those groups are called phamilies or phams. 00:27:59.20	And of these 6,858 genes we have a total of 1,523 distinct phamilies or sequences. 00:28:12.04	A large proportion of those are what we refer to as "orphams". 00:28:18.13	They are phamilies but they only contain a single member. 00:28:36.29	of these orphams that constitute these phamilies. 00:28:40.03	And so this is about 45% of all of our phamilies only have a single member. 00:28:54.19	the mosaic components by which these are put together. 00:29:16.13	refers to a particular phamily. That's a phamily number for which that gene is a member. 00:29:27.14	of sequence similarity at the nucleotide level between the various genomes. 00:29:36.22	that we talked about in part two. 00:29:39.18	Now we can do this type of representation with large numbers of these genomes. 00:30:00.25	that you look at and the degree of sequence similarity. 00:30:13.29	and the color coordination, the purple between these four genomes illustrates how very closely related they are. 00:30:25.21	you can see that these are also very similar. 00:30:37.27	that nonetheless have played a key role in how these genomes have evolved. 00:30:46.22	here of segments that have been lost from one genome or gained by another. 00:31:02.08	in the evolution of these particular genomes. 00:31:29.23	we can see that the genes are shared through common amino acid sequence similarity. 00:31:46.09	even in the absence of substantial sequence similarity. 00:31:56.11	where the modules that contribute to the structure of the genome often correspond to simply to single genes. 00:32:08.14	So modules correspond to single genes when we conduct this type of analysis. 00:32:48.28	that have a member of that Pham. 00:32:57.26	or the evolutionary history of this particular family of sequences. 00:33:02.09	In the top part of the figure I've just shown a small segment of phage Omega from genes 125 to 128. 00:33:19.23	to a gene in this genome called Cjw1. 00:33:24.23	Gene 127 in Omega has a relative in a genome called KBG. 00:33:32.11	In that case, gene 84. But, and this is important, the context, the flanking sequences in each case is different. 00:33:58.17	which is at the left part of that gene in Cjw1. 00:34:03.10	And the same goes for the KBG comparison. 00:34:24.16	have clear and distinct evolutionary histories. They have different phylogenies. 00:34:36.00	which share and exhibit these types of relationships. 00:34:46.02	about questions of phylogeny of whole phage genomes. 00:34:54.16	so you can see how they are all related to each other? 00:35:03.10	built from modules and pieces, and all those bits and those pieces have distinct evolutionary histories. 00:35:16.17	phylogeny for a genome as a whole. 00:35:28.17	that have put those pieces together in that particular combination, in that order, in that particular virus. 00:35:52.05	that are encoding the structural proteins, we know what they do. 00:36:00.02	we really have absolutely no idea what they do. 00:36:03.01	And we would certainly like to know what their functions are and indeed what their structures are. 00:36:19.09	over 17,000 open reading frames, almost 3000 Phamilies of distinct and different protein sequences. 00:36:26.12	The number of Orphams has come down slightly. 00:36:30.26	It is about 41% as we have started to find some of the relatives of genes that were previously Orphams. 00:36:46.13	we find that about 80% of them are novel genes. They are novel sequences. 00:36:52.21	There are no relatives of either other phages or anything else that has been sequenced in the database. 00:37:08.14	about half of those are for genes for which people don't know what they do anyway. 00:37:14.09	So database searching is an interesting exercise with these bacteriophage genes. 00:37:23.17	It provides rather little information as to what the functions of the genes are. 00:37:29.24	but the amazing thing is we just don't know what most of these genes do, and we would like to. 00:37:40.05	in developing a tool that can now help us address this question. 00:37:56.19	for constructing mutants in mycobacteriophage genomes, either deletions, insertions, point mutations. 00:38:37.04	in order to find those that have the mutation that you need. 00:38:49.12	at much higher frequency than you would normally see it. 00:38:57.05	to now go and ask what those genes do. 00:39:07.23	that might be useful for the genetics of mycobacteria or specifically control of tuberculosis. 00:39:13.17	And I will give one brief example of that which is a couple of genes called Lysin A and Lysin B. 00:39:21.04	In this case I am again showing Giles as an example. 00:39:41.06	then the cell wall needs to be compromised. It needs to be broken open. The cell needs to be lysed. 00:39:49.03	And the phage encodes the enzymes that enable that to happen. 00:40:17.19	and examined what the behaviors of the phages were. 00:40:20.26	That way would enable us to figure out exactly what roles these genes are playing in lysis. 00:40:35.29	except I think the results are very clear. 00:40:44.13	where you have an inner membrane. 00:40:45.20	You have the peptidylglycan of the cell wall. 00:40:59.14	which is composed of an interesting type of lipids called the mycolic acids. 00:41:08.11	but most bacteria don't have this type of outer wall structure. 00:41:24.18	is found predominantly only encoded by mycobacteriophages. 00:41:28.28	And that was part of what clued us in to Lysin B playing a role in perhaps degrading this cell wall structure. 00:41:37.00	What we now know is that the Lysin A is the enzyme that degrades the peptidylglycan. 00:41:56.28	of the cell during the process of release of the progeny viruses at the conclusion of the lytic cycle. 00:42:09.05	because they are enzymes that degrade the cell walls of mycobacteria. 00:42:19.19	play potentially useful roles either in the lab to try to break open and to destroy mycobacteria. 00:42:40.11	Mycobacterium tuberculosis in an infected patient. 00:42:51.21	and how some of them may be useful. 00:42:53.07	We have seen that mycobacteriophages are highly diverse. 00:43:19.01	and phage genomes that infect a common host. 00:43:27.12	from generating similar collections of bacteriophages that infect other bacterial hosts. 00:43:42.12	from how similar they are, how related to each other, and the specific mechanisms by which they have evolved. 00:43:59.17	what they look like structurally, and why they are there. 00:44:04.09	We are beginning to learn about how they got to be there in these genomes. 00:44:08.12	Now we need to know what they do. 00:44:14.02	that we can begin to readily manipulate these genomes. 00:44:22.14	and other viruses in order to address these questions. 00:44:41.06	Mycobacterium tuberculosis, a major human pathogen, tick. 00:44:51.21	for contributing towards the diagnosis, the prevention, and cure of human TB. 00:45:07.19	both the National Institutes of Health and the Howard Hughes Medical Institute. 00:45:18.28	and I've listed many of their names there. 00:45:42.20	and I acknowledge that contribution, and thank you for that. 00:45:46.24	And so thank you for your attention to this iBioSeminars lecture. Bacteriophages, viruses that specifically infect bacteria, are, by far, the majority of all biological entities in the biosphere. The viral population, including bacteriophage, is very diverse yet relatively few viral genomes have been sequenced. In this series of lectures, Hatfull argues that viral genomes provide a great source of new genes, potentially with new functions and structures. In Part 1, Hatfull describes what bacteriophage are, some of their biological properties and how they were discovered. 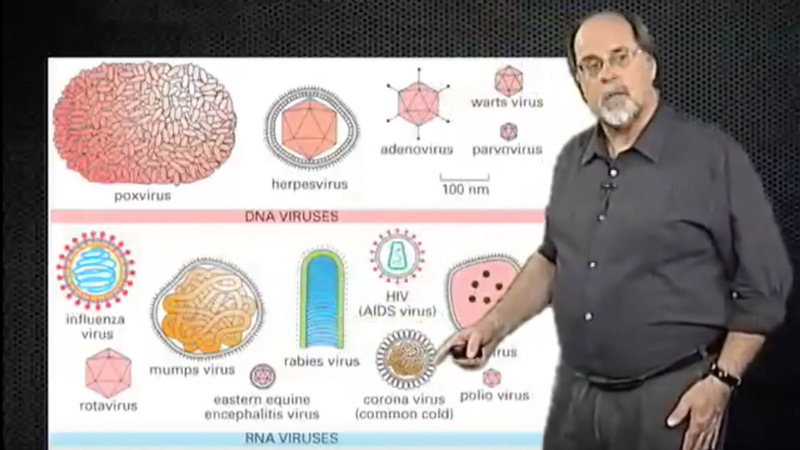 In Part 2, he discusses the organization of bacteriophage genomes and explains how genomic sequence comparison can provide information about viral evolution. And in part 3, Hatfull describes work from his lab on mycobacteriophages, phage that infect mycobacteria including M. tuberculosis, the causative agent of the human disease tuberculosis. By studying mycobacteriophage, Hatfull hopes to better understand tuberculosis and perhaps develop methods for its control. Hendrix RW, Smith MC, Burns RN, Ford ME, Hatfull GF. (1999). Evolutionary relationships among diverse bacteriophages and prophages: all the world’s a phage. Proc Natl Acad Sci U S A. Mar 2;96(5):2192-7. Hatfull GF. (2010) Mycobacteriophages: genes and genomes. Annu Rev Microbiol. Oct 13;64:331-56. Hatfull GF, Jacobs-Sera D, Lawrence JG, Pope WH, Russell DA, Ko CC, Weber RJ, Patel MC, Germane KL, Edgar RH, Hoyte NN, Bowman CA, Tantoco AT, Paladin EC, Myers MS, Smith AL, Grace MS, Pham TT, O’Brien MB, Vogelsberger AM, Hryckowian AJ, Wynalek JL, Donis-Keller H, Bogel MW, Peebles CL, Cresawn SG, Hendrix RW. (2010) Comparative genomic analysis of 60 Mycobacteriophage genomes: genome clustering, gene acquisition, and gene size. J Mol Biol. Mar 19;397(1):119-43. Hatfull GF. (2010) Bacteriophage Research: Gateway to Learning Science. Microbe 5 (6) 243-250.